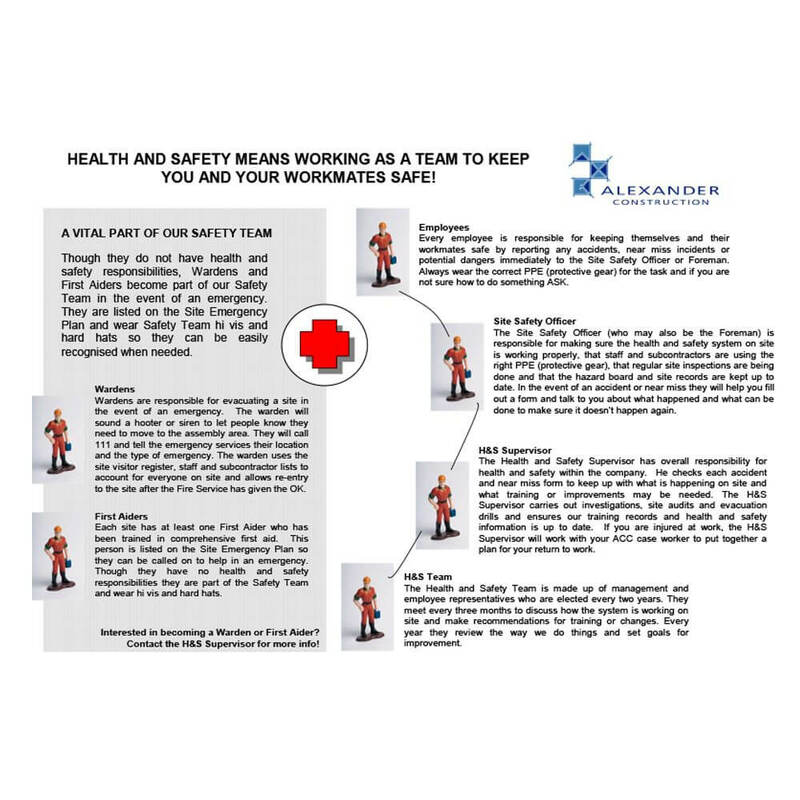 Alexander Construction and our associated companies are committed to a zero-harm focus to ensure the safety of all employees, sub-contractors and visitors to our sites. We are ACC tertiary accredited. We have a long-standing partnership with the ACC Workplace Safety Management Practices programme and hold tertiary accreditation, the first contractor in Hawke’s Bay to do so. We are also members of Site Safe, the national organisation dedicated to promoting a culture of health and safety in the construction industry. On every project, we employ a site-based safety officer, an office-based health and safety supervisor, and have a health and safety team of employee and management representatives. 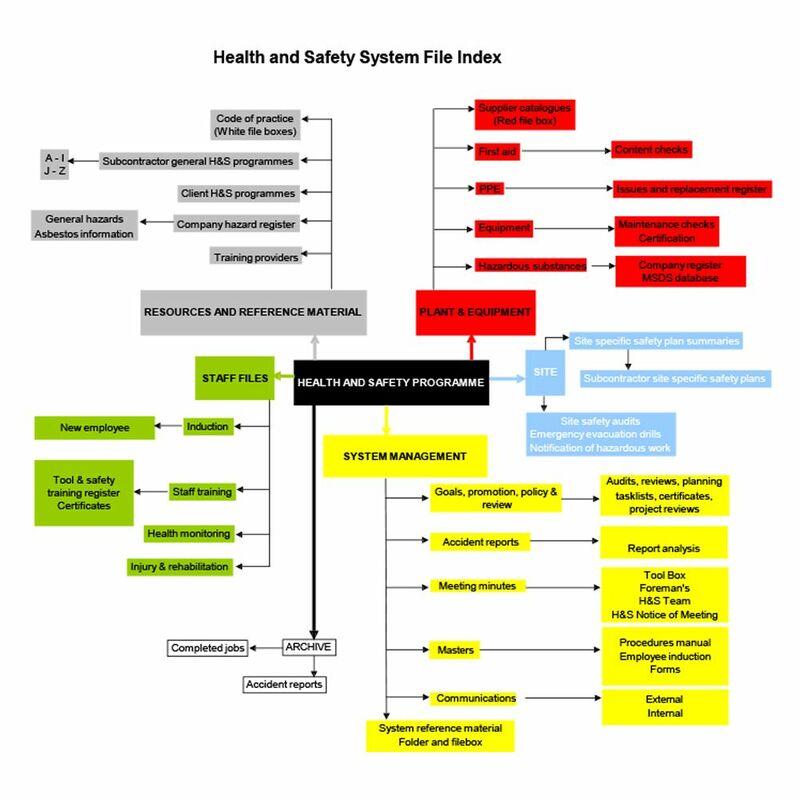 Before any site work begins, hazard identification, Worksafe NZ notifications, training requirements, traffic management and site specific emergency planning are all completed. On site, sub-contractors must sign off a safety plan and attend ‘Tool Box’ meetings to ensure all trades are aware of scheduled activity or changes, while clients and visitors are hosted on site and safety requirements are reinforced through site entrance hazard boards.